Kona Ocean View Condo - Ask About Current Discounts! Enjoy fantastic ocean sunsets and relaxing tropical breezes from this lovely spacious end unit with recent remodel. Ocean view from LR, Master BR, Kitchen, and Dining area. Decorated in light Berber. Large tiled lanai overlooks golf course to the ocean. 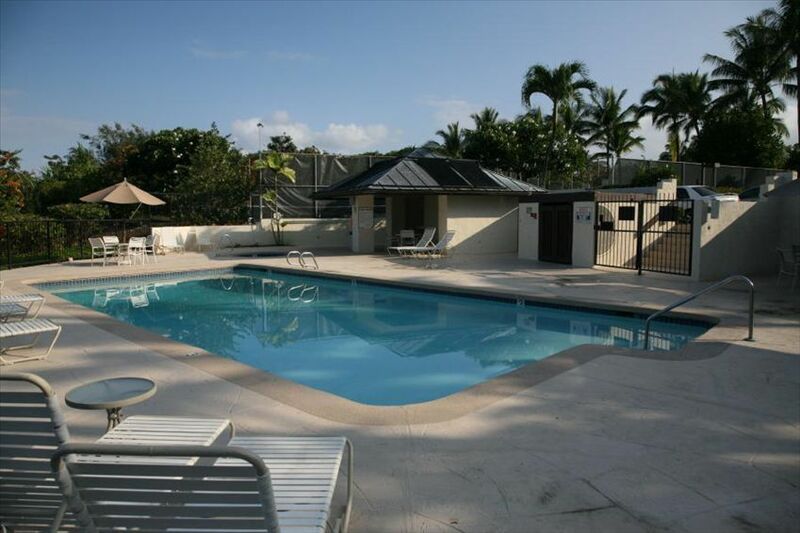 Pool, Jacuzzi and tennis courts adjacent - 3 pool complexes on property. Immaculate grounds, tasteful surroundings, quiet relaxation. The best snorkel beach is less than 1/2 mile away. Market and restaurants an easy walk. The sunset picture was taken from the lanai! Sits on 17th Fairway of Kona Country Club a public course that is extremely well done.